Here’s a scene I’m sure you’re familiar with. You’re at a show, the band is delightful, the venue is packed, your beer is cold…but you’re stuck standing behind a posse of hat wearing hipsters. At first you think nothing of the crew; seeing a group of guys in perfectly weathered t-shirts and hats taking incessant photos on their iPhones is nothing new, after all. Then you notice that they won’t put their damn phones down, and they won’t stop talking, and their effing hats are obstructing your view of the stage. Sound familiar? Of course it does. But who are these hipsters exactly? And what makes them choose their various hats? 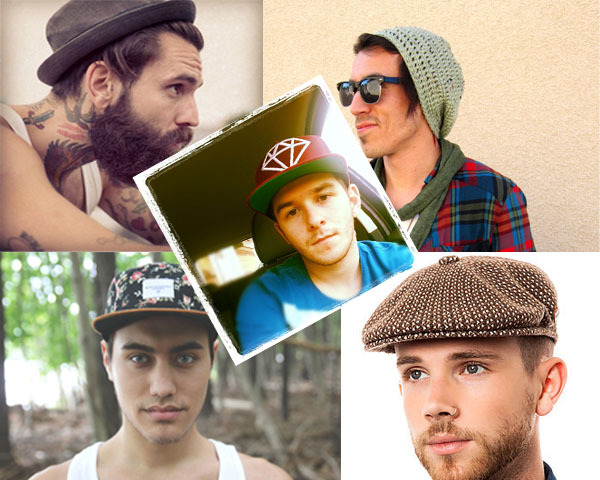 I am going to break down in a completely un-proven, non-scientific manner the 5 distinct types of hat wearing hipsters. Ah the slouchy beanie. It could be 5 degrees or 95, it doesn’t matter – that head needs to be kept warm. Maybe it’s to cover a bald spot, maybe it’s because he hasn’t showered, or maybe he thinks it brings out the V in his V-neck – regardless of the reasoning, the slouchy beanie seems to permanently affixed atop his head. Don’t get me wrong, I love a good beanie. But for me the most impressive thing is the dedication that comes from wearing that beanie all night, no matter the size of the crowd or the amount of drinks consumed. Safe to say the slouchy beanie guy thinks he knows a thing or two about fashion, but also wants to seem like the “cool guy” who just rolled out of bed and tossed on a hat. But don’t be fooled, at least 10 minutes were spent in front of a mirror getting that slouch just right. Look, thanks to Workaholics we all know the rule: one fedora per crew. But you can never ignore that one guy. The fedora guy can go one of two ways: either he is completely clueless and thinks this hat he picked up at a mall kiosk somehow makes his ill-fitting button-up and True Religion jeans look better (it doesn’t), or he is way, way too concerned with the way he looks. Under that fedora might even lie a second look, courtesy of lots of Axe hair-care products. 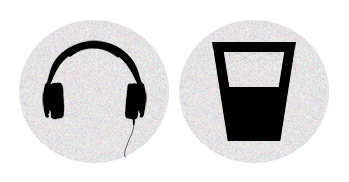 The fedora guy is particularly annoying at concerts as the hat expands both the height and width of his head, making it much more difficult to see around. I’m sorry, did you just go to Lids? Because that über-flat brim looks like it’s never been touched. Oh, you have all five of the stickers that came on it still on the hat in pristine shape? Well then you must really know a thing or two about collecting hats. Denver Nuggets, huh? Is that your team? Oh you’re from Maine, of course, so the Nuggets would be a logical choice. I know, I know, you’re a very eclectic white boy with an extensive knowledge of underground rap, but yet I seem to constantly bump into you at Century City. No he’s not acting in the Broadway play, he’s just hanging out. He is also looking for the most out of his hat, as the newsie cap provides both shade and warmth, making it the perfect hat for…never. I guess if you’re like truly Steampunk, or making my coffee at Intellegentsia, or concocting a delicious cocktail at a whiskey bar then it’s maybe acceptable. But otherwise…just, why? So there you have it. And look, we all have fallen for one of these hats before, and some of us have even worn them (myself included). But please, gentlemen, next time you’re at a show – be aware the effect your hat can have on those around you.